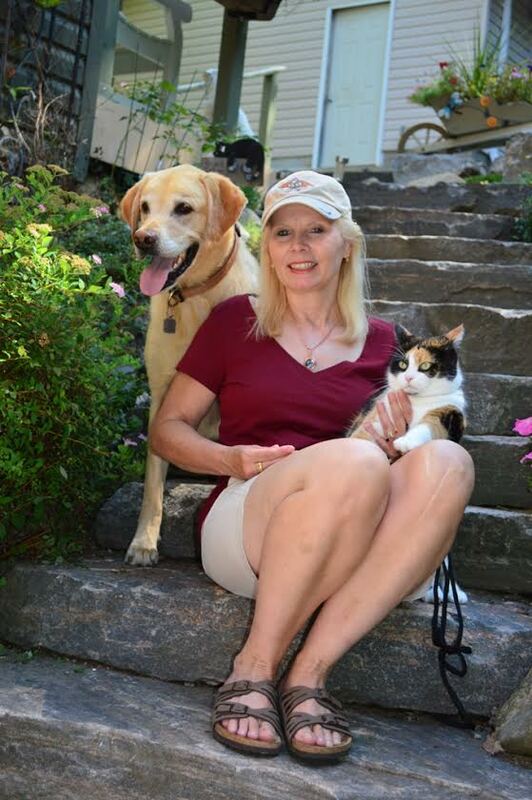 Author Sharon Ledwith joins us today with her book Lost & Found and a recipe for peanut brittle. Enjoy! Bring sugar, corn syrup, salt, and water to a boil in a heavy 2 quart saucepan set over medium heat. Stir until sugar is dissolved. Stir in peanuts. Set candy thermometer in place, and continue cooking. Stir frequently until temperature reaches 300° F (150° C). Remove heat. Immediately stir in butter and baking soda. Pour at once onto cookie sheet. With two forks, lift and pull peanut mixture into rectangle about 14×12 inches. Allow to cool. SNAP candy into pieces and enjoy while you take a glimpse at my latest novel. The Fairy Falls Animal Shelter is in trouble. Money trouble. It’s up to an old calico cat named Whiskey—a shelter cat who has mastered the skill of observation—to find a new human pack leader so that their home will be saved. With the help of Nobel, the leader of the shelter dogs, the animals set out to use the ancient skill of telepathy to contact any human who bothers to listen to them. Unfortunately for fifteen-year-old Meagan Walsh, she hears them, loud and clear. Forced to live with her Aunt Izzy in the safe and quiet town of Fairy Falls, Meagan is caught stealing and is sentenced to do community hours at the animal shelter where her aunt works. Realizing Meagan can hear her, Whiskey realizes that Meagan just might have the pack leader qualities necessary to save the animals. Avoiding Whiskey and the rest of shelter animals becomes impossible for Meagan, so she finally gives in and promises to help them. 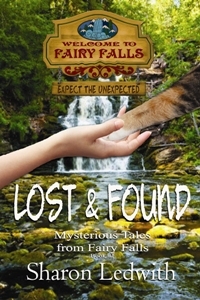 Meagan, along with her newfound friends, Reid Robertson and Natalie Knight, discover that someone in Fairy Falls is not only out to destroy the shelter, but the animals as well. Can Meagan convince her aunt and co-workers that the animals are in danger? If she fails, then all the animals’ voices will be silenced forever. Oh serious yum! I would make it with cashews. Agreed, Cindy! That would work wonderfully. Cheers for stopping by! Appreciate it! Thanks so much for hosting me in your virtual kitchen, Gina! Hope I didn’t leave too much of a mess to clean up! LOL! Cheers! You are the perfect guest, Sharon. Come back anytime! Fascinating premise, Sharon! I do love animals. I make almond brittle, which I also use to make toffee, but I do love a good peanut brittle.I add warmed nuts afterward. Adding the peanuts as they cook is an interesting idea. Thanks, Tonette! Small world too! You’ve been a Facebook friend of mine for a long time. I appreciate you stopping by and taking the time to comment. Cheers! That’s why I stopped in today, Sharon, to support you. I have to say, I used to be a professional cook/baker. and my toffee is a favorite of family and friends. Right! Great photo and recipe. Trust me, it’s to die for, Chris! Thanks again, Tonette! I really appreciate your kind support! All the best! It’s an addictive snack, Diane! Cheers and thanks for stopping by!